Dounia has been at it again... creating marvellous things from marvellous things, and this time she has also photographed them in marvellous situations too!! This is a fun and very playful post - perfectly suited to this theme of whimsy! Hi everyone, it's Dounia from France. Tonight, I'm helping tiny colorful fairies invade this blog, some cards and my garden! With a theme like "Whimsy", I wanted to do something fun and quick, spontaneous and dynamic. I therefore got out one of my favorite materials, shrink plastic, and had a blast with Tracy Scott's latest stamps! For this project, I really drew inspiration from the stamp set: ETS18. Tracy Scott's latest collection is sort of a "make your own garden" kit and I wondered what else could be built from it. All the elements were already perfectly proportioned to make funky bodies so the answer became obvious: flower fairies! Tracy also released a gorgeous limited edition set of Fresco Acrylic paints, so I had my basic color palette (with some more blues, cause I like those). Isn't it nice when the designer provides all the seeds of creation? 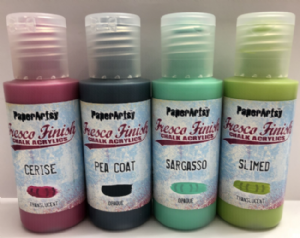 Fresco Acrylic paints take without preparation even on non-porous surfaces, which was very useful on the shrink plastic. I love how deep and bright the colors are once shrunk. For the heads, I chose the main flower stamp in the set and masked the centre then stamped faces from other collections instead (here LPC028 and LPC036). For the more confident crafters, hand-drawing the features is another possibility. Some painted wire and shrink plastic scraps for the arm and legs, and you're set! Your fairies can live in a garden or a flower box but also in a fun card. The backgrounds are a mix of Tracy colors with more neutral tones to match with the fairies while allowing them to "pop". I like the constrast between the shining embossing powder and the chalky paint. I like to keep the card quite subtle and monotone so that the fairy contrasts with the background while still "belonging" because everything is in the same color family. I love how well the elements in Tracy's stamp set assemble to make the body. Another easy way to give a fairy a face is to add a photo, cut out of a magazine or an add for example. You can also make your family and friends into colorful characters! Those were really fun and quick projects! It's an occasion to try out new color combinations and not worry about proportions or realism. 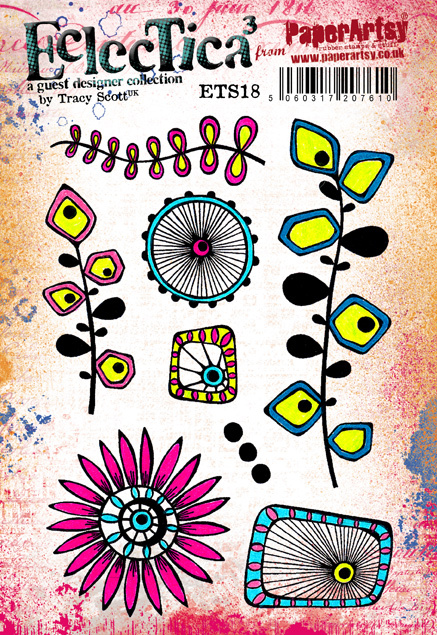 You can use lots of other stamp sets in the PaperArtsy collection. It can even be done with children, the shrink plastic is always a hit ! And nothing stops you from filling you fairy world with animals, plants or objects. The current topic link Topic 4: Whimsy will close 17:00 (London Time) Sunday, March 18th 2018, and the winner will be announced 2 hours later at 19:00. Fabulous creativity, Dounia has whimsy down pat! Cool little characters, great fun. Fantastic!!! what huge fun they are. These are adorable and stir creativity in me. Thanks so much! Looking forward to making my own fairies using stamps I have collected, a few which are Lynnes. I love her faces. I even have shrink plastic from the 90s, stored since our daughters were in elememtary school. I bet others are thinking, how fun it would ne to make some fun fairies. These are so great, really imaginative, what a fabulous use of stamps! Oh my goodness, Douania, these have blown me away!!! 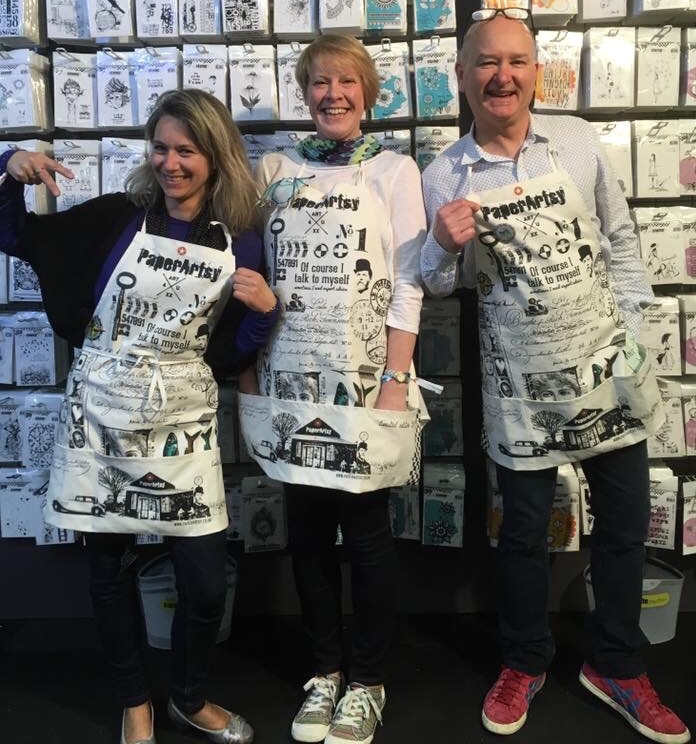 It is such a clever, creative idea and such a great mash up of two completely different stamp sets. I love that you used shrink plastic to make them 3D. How you saw 'bodies' in Tracy's stamps is just amazing. I love the way you created the heads. A fabulous 'Whimsy' project. The best yet, in my opinion. 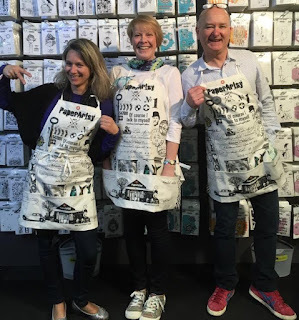 Gorgeous creations and such fun! So very clever Dounia. Awesome project. Superb modern fairies, I love them!